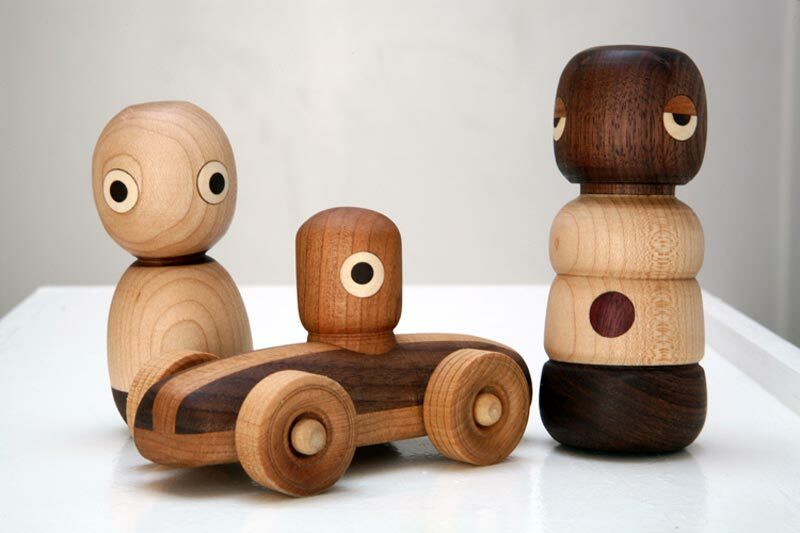 We've seen some charming wooden toys in our day, but the eyes definitely have it when it comes to the Noli Noli handmade toy collection completely winning us over. The cast of characters consists of retro race cars, rattles, robots, boats and a whale. They all have endearing eyes that animate them in such a subtle fashion which infuses each toy with a sweet personality. This company was created when a father who is a design engineer for the custom furniture business decided to extend his craft to making nontoxic, high-quality toys for his baby boy. Each wooden toy is made in the USA, handcrafted out of all natural solid wood that is locally sourced in New York or recycled from local furniture businesses. Noli Noli has a great motto for green parents when it comes to toy safety: “No finish, no paint, no worries.” With the upcoming holiday season, a great way to green your gift-giving endeavors is to support mom and pop, small, local businesses, and to buy products made in the USA that are sustainably crafted. 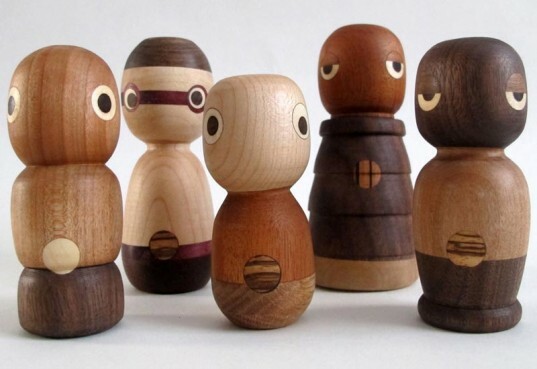 Noli Noli Handmade also offers a beeswax and shea butter mixture to condition the wood which comprises their toys, and organic beans inside the toys to provide a gentle rattling sound. An ingenious inherent aspect of the retro race cars is that the heads of the drivers were designed to fit small hands that may 'vroom' them across the room. These personable robots have adzuki beans in their bodies which emit a low key rattle sound to add another element of fun and engagement to playtime. Small hands may easily grasp these rattles, which resemble maracas. They are filled with dry beans to lend the "shake, rattle and roll" to baby's musical endeavors. Fancy an organic scarf? Add a sweet touch to the race car driver's repertoire with an eco scarf that flies in the wind. This adorable bathtub boat is made of with sustainably grown mahogany which is naturally water resistant and has a great scent. This solid walnut whale of a pen and pencil holder may be used by kids and adults alike to store writing utensils in the would-be blowholes.